Why choose Drakos Real Estate to sell your property? Drakos Real Estate has been operating in the South Brisbane / West End area since 1960. Many competitors have opened and closed since then, but one property service has outlasted and survived all the challengers and the competition over those years to become the unrivaled experts in the area. Principal Chris Kazonis has … since 1980, also a registered RE valuer. Drakos Real Estate is an independently owned and operated business. No franchises, no head offices, no-one else to answer to. We can adjust to individual circumstances easily and conveniently without requiring approval. Your best interest is our best interest. Our sales team are West End born and bred. They have lived the changes to the area over the generations. Principal Chris Kazonis was raised and educated in the area, has been an integral part of local community all his life and has seen the changes of the pre-Expo era through to coffee boom and into the apartment boom. 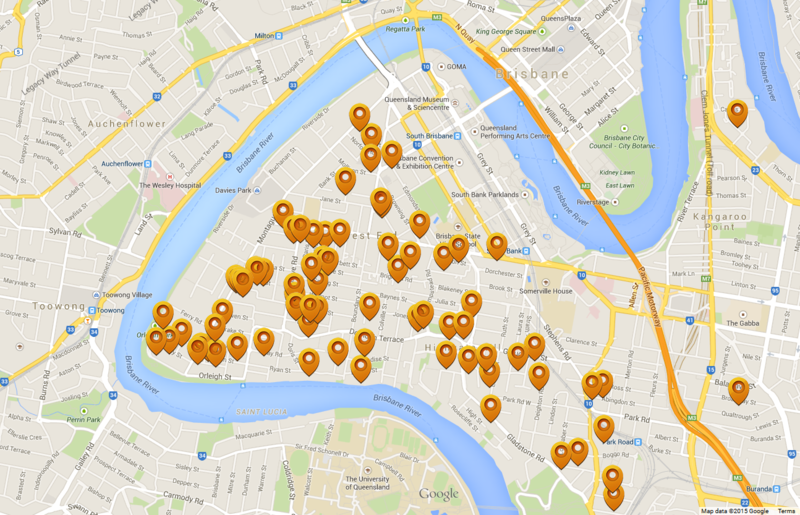 Those who claim to know every part of Brisbane are specialists in none of those areas. Only one Real Estate is the undisputed expert in West End. Our track record speaks for itself. Our referrals/repeat business rate is what gives us the edge in West End. Satisfied buyers become satisfied vendors and on numerous occasions. Some properties have even been sold four and five times by Drakos Real Estate. This map shows a selection of property sales over a four year period. A reputation valued throughout the real estate industry. Impeccable service to Sellers and Purchasers. Then look no further than Drakos Real Estate: the only experts to call for the best results. Contact us for a free market appraisal and you can take advantage of our specialised area expertise.